Viviana Sofronitsky comes from a family of musicians. With her father, being a distinguished Russian pianist, it was natural for her to continue the family tradition and start piano. 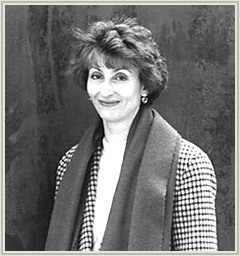 Still in Russia she earned a DMA from the Moscow Conservatory and later a historical fortepiano and harpsichord performance degrees from the Royal Conservatory in Den Haag. Viviana Sofronitsky was awarded the First Prize at the "Bach Tage Berlin" competition, as well as prizes at the "Musica Antiqua" competition in Brugge. Since then she performs at such festivals as “Printemps des Arts” in Nantes, France, “Flanders festival”and “Handelsbeurs” in Belgium, Leipzig Bach Festival in Germany and with the "Oude Muziek Netwerk" (Utrecht Festival producer) in the Netherlands. Linda Nicholson is one of the foremost keyboard players specialising in the performance of baroque, classical and early romantic music on instruments of the period. After studying at the Royal College of Music and London University she won the two first international competitions held for the fortepiano, namely the Concours International du Pianoforte in Paris and the Festival of Flanders Competition in Bruges. She has performed widely throughout Europe and the Far East, in solo recitals, chamber music and as concerto soloist; for example with the Orchestra of the Age of Enlightenment, Les Arts Florissants, and the Academy of Ancient Music. 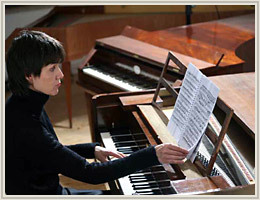 She has recorded a number of Mozart piano concertos with the Capella Coloniensis in a co-production between Westdeutsche Rundfunk and Capriccio, the complete trios of Mozart and trios by Haydn and Beethoven with the London Fortepiano Trio for Hyperion. She performs regularly as a duo with the violinist Hiro Kurosaki, and their recording for Erato of the complete violin sonatas of Mozart won the Japanese Academy Award and was the highest selling classical record in the year it was released. In 2004 she released a ground-breaking recording of Scarlatti sonatas for Capriccio/WDR played on a reproduction of the type of fortepiano known by Scarlatti to great critical acclaim. Mario Aschauer was born in 1980 in Linz/Upper Austria. After graduating from the Linz Musikgymnasium, he studied organ, piano, harpsichord and fortepiano as well as conducting, philosophy and musicology at the Linz Bruckner Conservatory, the Mozarteum Salzburg and the University of Vienna. He is founder and director of the Ensemble NovAntique Linz, a period instrument Orchestra and Chorus specializing in the performance of late 18th century music. Thus, projects have included rediscoveries of F.L. Gassmann’s great oratorio La Betulia Liberata, G.C. Wagenseil’s Stabat Mater, A. Salieri’s requiem compositions and, as a tribute to the 250th anniversary of the composer’s birthday, J.M. Kraus’ Der Tod Jesu. 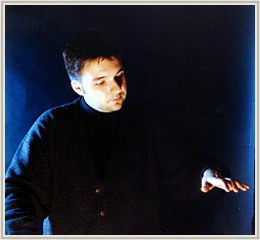 Mario Aschauer gives concerts internationally as a soloist and chamber musician on historical keyboard instruments, currently preparing a concert series featuring the complete clavier sonatas by Joseph Haydn on the occasion of the 200th anniversary of the composer’s death in 2009. As a musicologist, Aschauer occupies himself mainly with the Viennese classical period as his major field of research, presently writing a thesis on the complete repertoire of German clavier methods and treatises between 1750 and 1825. He is currently an assistant to Prof. Herbert Seifert at the Institute of Musicology of the University of Vienna, collaborating with him on lectures on philology, musical analysis and music history.